Business data glossary: What’s in a name? Most academics are familiar with numerous vocabularies. The way that a physicist would describe photosynthesis, for example, would be very different to the explanation used by a chemist, or, in turn, by a botanist. When scientists are working in isolation, these different uses of language cause few problems. But imagine the challenges faced by the multifunctional teams involved in large ventures like the Manhattan project, which had as its goal the creation of the atomic bomb.A host of skilled people, working in different ways and using different terminologies had to be kept on the same track in order to ensure that the deliverable was met. A debtor in the eyes of the finance department may be viewed as a prospect by the marketing team, and as a customer by the sales team. 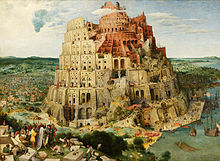 When applied to information, these conflicting terminologies are the source of ambiguous or inconsistent reports; can cause business processes to fail; and, in the worse case,like the biblical story of the Tower of babel, may even turn entire departments against each other as each fights valiantly to ensure their needs are met, while directly causing data failures for other areas. The goal of a business data glossary is to ensure that, like the scientists of the Manhattan project, everybody in your company is clear about how information is being used – whether in their environment or elsewhere. It must be business user friendly, Business users must be able to easily capture and track changes to terminology that is in common use in their area. After all, if the people that use the terms can’t document them, it is unlikely that someone else will. A simple dictionary of terms is not enough. The glossary must be placed in context (does customer mean the same thing to the Retail and the Commercial businesses?). and linked to related information assets such as data models, audit trails and reports, so that we can identify where and how data is being used. When these three goals are achieved, then the business data glossary goes from being an academic tool, to a valuable information asset that enhances the value of data in your company. ← Data scientists must see the story behind the data.